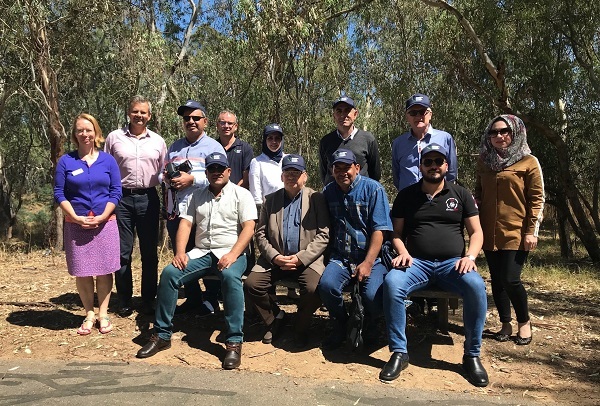 This activity resulted from discussions held in Baghdad in February 2018 between the Minister of Water Resources, Dr Hassan Janabi and the Australian Department of Foreign Affairs and Trade (DFAT), from which ICE WaRM was invited by the Australian Water Partnership (AWP) to facilitate the visit. Having worked in the water sector in Australia, the Minister believed that Iraq could learn a lot from Australian water industry practice. “Iraq has complex water sharing issues with no binding agreements between Syria, Iran and Turkey, and is heavily dependent on water resources that originate in these countries.” explains ICE WaRM’s International Water Executive Advisor, Dr John Howard, who supported the programme. Large dams and the expansion of irrigation in these upstream countries is decreasing the water available to Iraq and adversely affecting water quality. There are approximately 15 million small scale irrigation farmers dependent on continued river flows so ensuring water resources are well managed is critical. Australia has much to offer including over 100 years of learning about water management in the context of the Murray-Darling Basin, a still significantly overallocated resource with many competing demands and subject to periodic extremes of drought and flood. 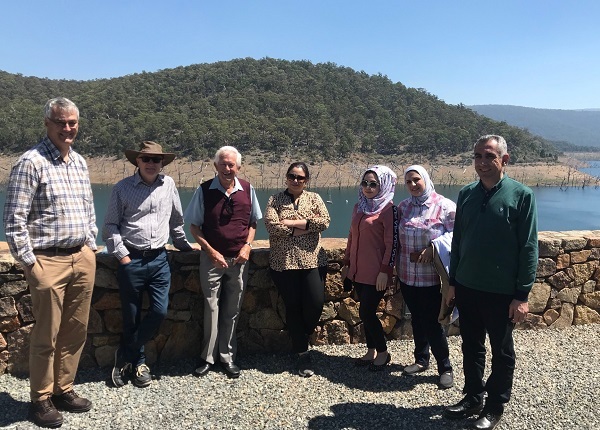 The delegation of 10 began their programme in Melbourne in February, where they met with representatives from the Victorian water sector to learn about water allocation and accounting before travelling to Shepparton to visit Goulburn Murray Water. 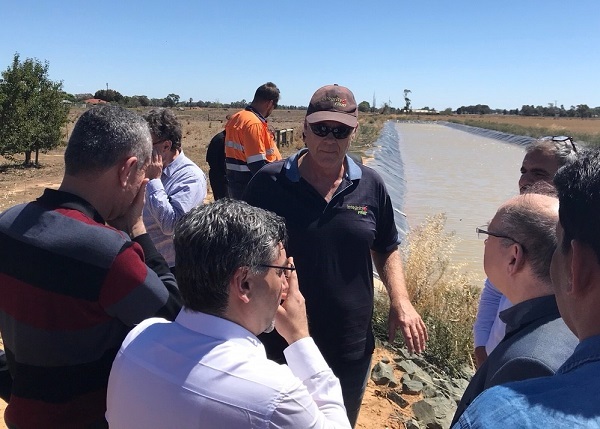 The tour included visits to environmental sites and agricultural areas where modern irrigation technologies are used, Integrity Farms, Barmah Forest and the Hume Dam. The programme completed in Canberra with meetings with Australian Government officials and visited the Snowy Scheme. 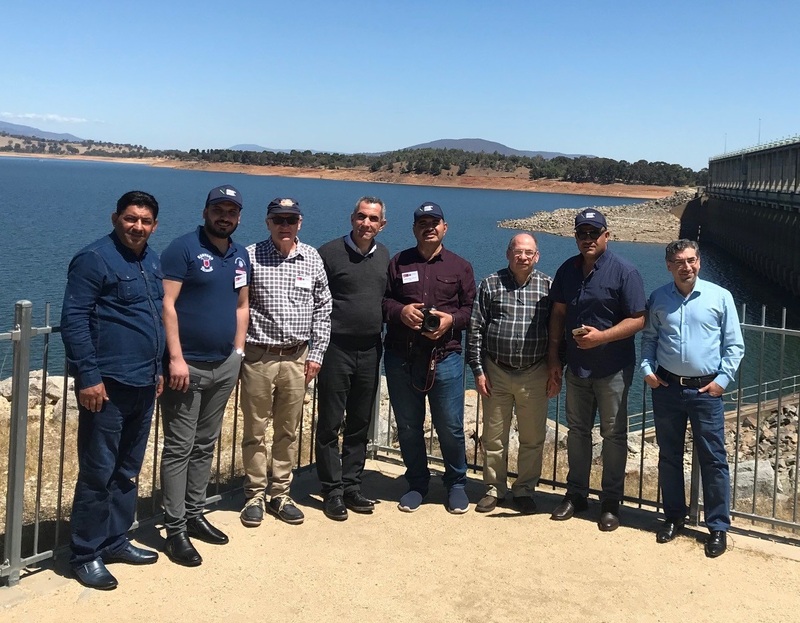 Over the 7 day visit Iraqi officials were exposed to current water management practices and provided with opportunities to discuss approaches to sustainable development and lessons learned with Australian water management practitioners. ICE WaRM partnered with consultants Campbell Fitzgerald and Jim Keary (Hunter H20) who were selected by the AWP, supported by (DFAT), to deliver the programme in Australia. Strong support was also provided by the Australian embassy in Baghdad and the Iraq desk in Canberra. Three small practical and targeted strategic projects were identified, that if supported, would develop the capabilities of Ministry for Water Resources staff while also providing operational improvements. It is proposed that Iraqi technical specialists work with Australian experts to deliver these projects. The Iraqi personnel could then use the skills they have gained to train other Iraqi staff.